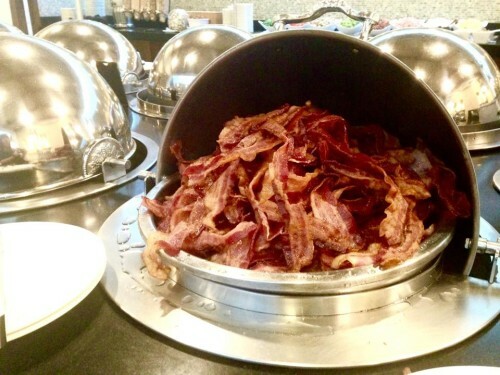 Hilton Sandestin Beach Golf Resort & Spa: A Review and Some Tips! We just returned from a glorious girl’s trip to Destin, Florida. 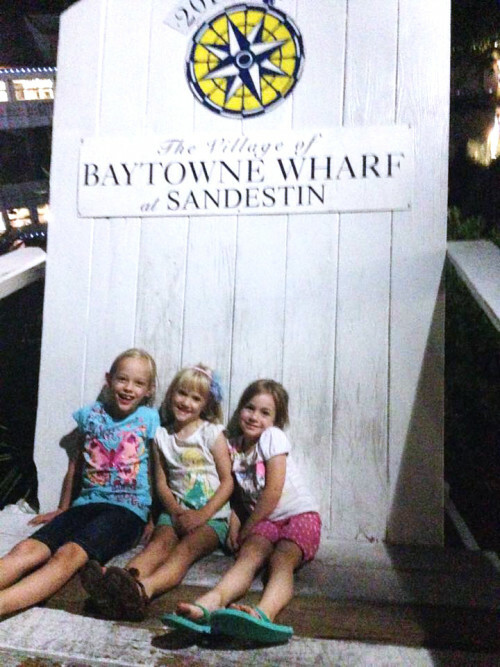 The beautiful gulf beach and the hospitality of the Hilton Sandestin Beach Golf Resort & Spa were just what two moms and their girls needed. Sweet T enjoyed fun with friends and so did I! 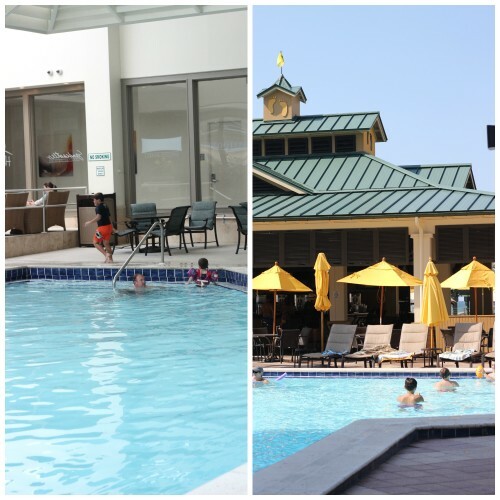 If you’re considering a family resort vacation, the Hilton Sandestin Beach Golf Resort & Spa is a very family-friendly one for several reasons. 1. 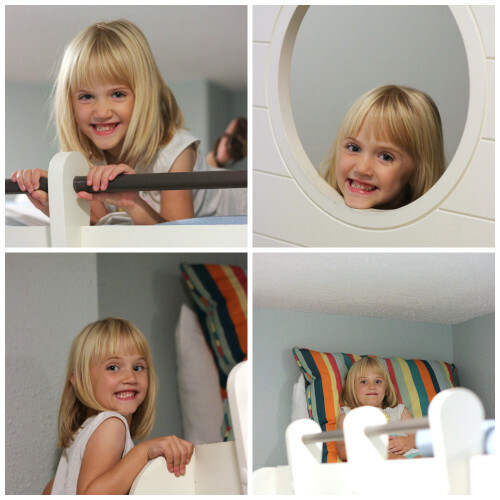 Bunk Bed Alcoves – Y’all are going to think I’m lying, but Sweet T was more excited about sleeping on the top bunk than she was the beach itself. 2. Kids Krew and Kids Night Out programs – Mom and Dad can take a break and enjoy a little couple’s time thanks to these supervised programs. 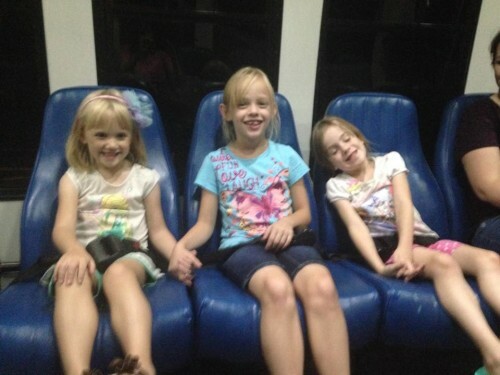 Rest assured that your kids are being well taken care of and having a great time while you enjoy a break. May I suggest you take your break at Serenity by the Sea Spa? Get a beach-proof gel pedicure or a massage! 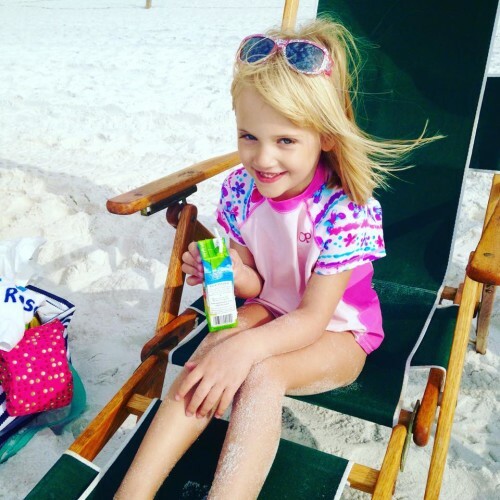 More about the Hilton Sandestin Beach Golf Resort & Spa children’s programs coming in May when Sweet T and I check them out for ourselves. A complimentary tram runs from The Hilton to The Village so there’s no need to drive during your family resort vacation if you don’t want to! 4. 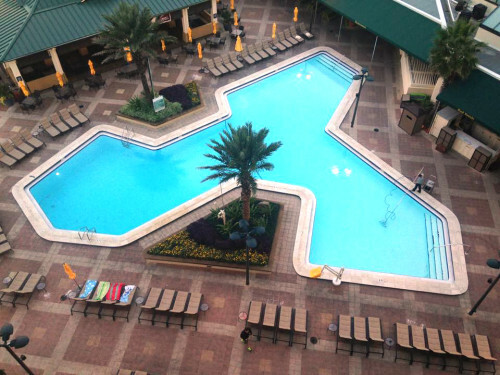 Pools – With two outdoor pools and one indoor, you’ll be having fun no matter the weather or condition of the surf. 5. 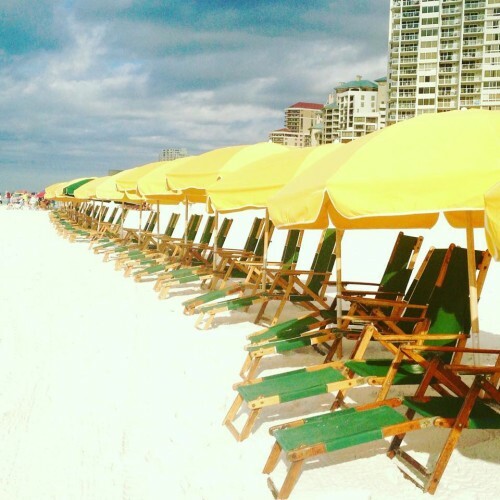 Easy Beach Access – A lot of times when you stay in beachfront rental, condo, or even some hotels you often have a hike to the beach. I’ve stayed on the second floor of a two-story rental and had to walk down stairs, across the parking area, and over a walkway before actually getting my feet sandy. 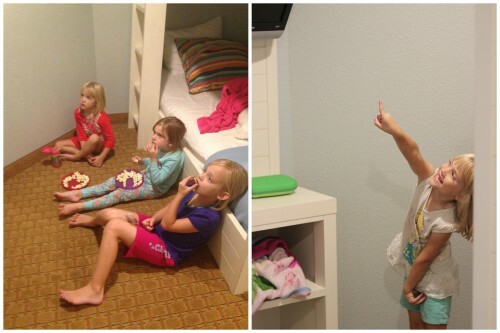 At Hilton Sandestin Beach Golf Resort & Spa you are close enough to the beach that you don’t mind making multiple trips back to your room if needed for snacks, diapers, etc. This is great for families with small children! Carry some cash – This is probably a no-brainer for most of you, but I am the world’s worst about carrying cash, even when traveling. You’ll encounter some toll roads on the way to Destin that require cash or check. No plastic. Also be prepared to tip your bellman, valet, etc. 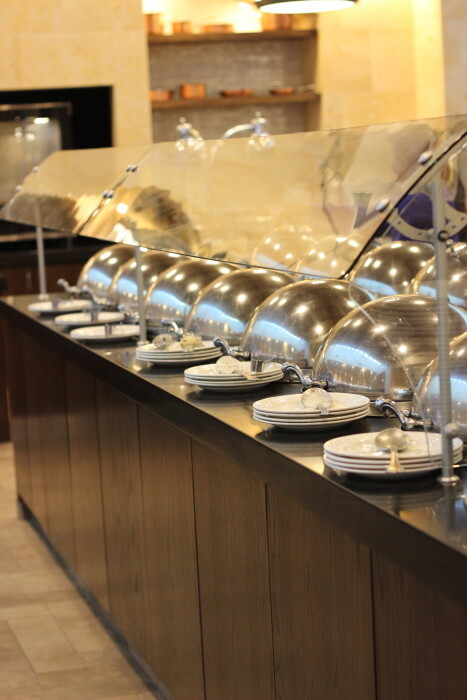 You’re at the Hilton, you swanky mama you! An ATM is located in the lobby for your convenience. Rent your beach setup early – The beach rental hut opens at 9:00, and during peak season they sell out! We were able to get one no problem, but the end spots were always already taken. Maybe you can get put on the list the day before? Not really sure honestly, but if a beach setup is important to you, make sure to rent one early in the day or bring your own chairs and umbrella. 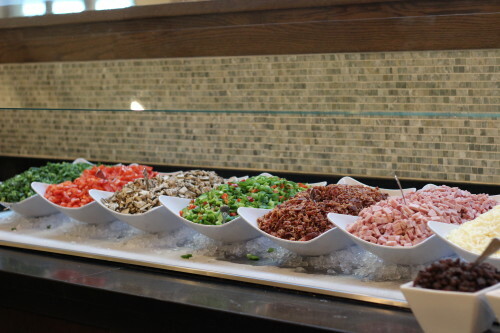 Enjoy the Breakfast Buffet at Least Once – Enjoy it every morning if you want to really feel like you are on vacation. 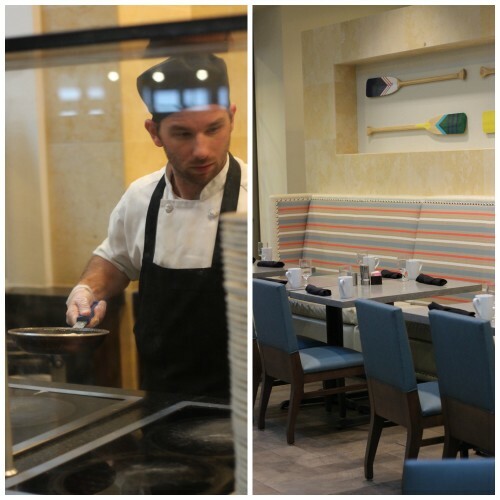 We can’t wait to return to The Hilton Sandestin Beach Golf Resort & Spa. Hubs actually got to stay here during a business trip several years ago and still talks about it. 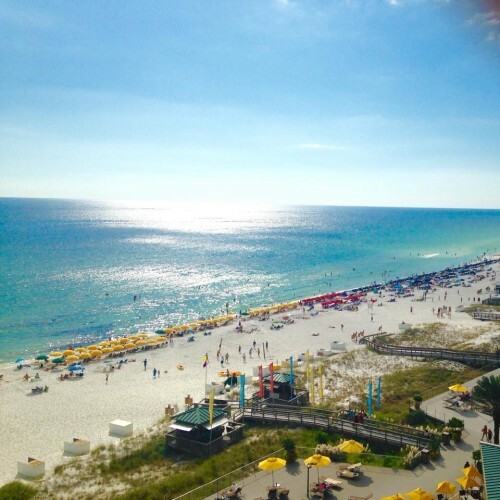 If you’re considering a visit to the Gulf beaches, you won’t be disappointed by The Hilton Sandestin Beach Golf Resort & Spa.